Many perceive me as rather fun and funny. I’m a very positive person–I happen to see life through a glass three-quarters full. None of that is a put-on. I do find at times that something comes out of nowhere, kicks me where the sun doesn’t shine and causes me to stress over something I can’t control. 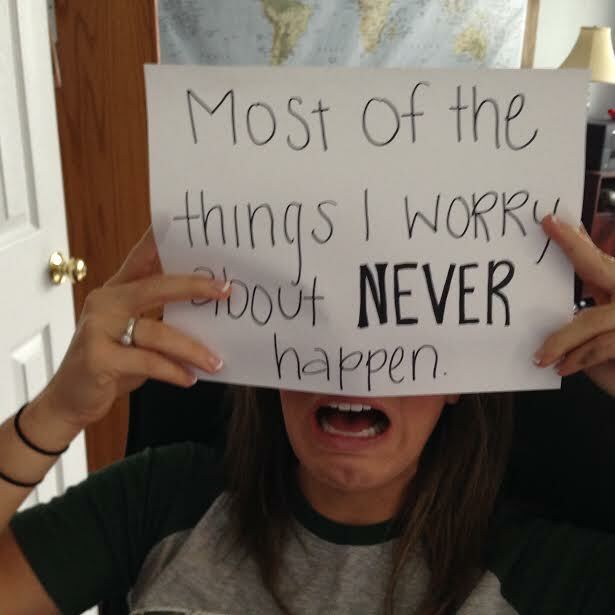 So I engage in the fine art of worrying. Worry accomplishes nothing except messing with my already sad hormones. Don’t want that. It causes me to lose sight of hope in the Lord. Don’t want that. It makes me oblivious to the great things and people happening around me. Don’t want that. Knowing all that rarely moves me from my worry cushion. Unnecessary worrying does, however, cause me to eat out of control. Particularly anything full of chocolate, sugar and butter. Fruits and vegetables just don’t have that comfy feel, you know? It happens even more when tough stuff is happening to people I love and care about. Things neither they nor I could control. I think I’m waiting for the hammer to fall on me. For some reason, my head started going down a dark path. I began imagining horrible things happening. And try as I might, I couldn’t stop thinking about awful possibilities. My imagination was tripping on fear. I tried praying. I couldn’t concentrate. I tried reading my Bible. The words fuzzed over. I pulled up the words to “It Is Well With My Soul”. The author, Horatio Spafford, was a well-to-do Chicago lawyer, married with four daughters and a son. At the height of his financial success, they tragically lost their young son. Shortly after that, the Chicago fire destroyed most of his real estate investments. In 1873 he scheduled a boat trip for his wife and daughters to get a well-needed vacation. He was to meet them in Europe. During their voyage, there was a collision, and all four daughters were killed. Only his wife survived. In the midst of his grief, he penned these words. When peace, like a river, attendeth my way, When sorrows like sea billows roll; Whatever my lot, Thou has taught me to say, It is well, it is well with my soul. I sat and sang those words, again and again, till the worry faded. Reminding myself that bad things will happen in this world. Peace is with me because Jesus is with me. If I take the time to focus on Him and not the problem at hand. 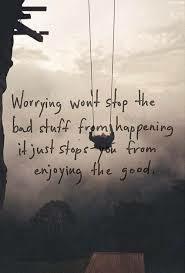 We all have moments of worry. The human condition causes us to want to control our world. And we can’t. None of us is that powerful. Control is a myth. But God offers us a river of peace to rest in. Float in. Allowing Him to hold us up like gentle waves, moving us where we need to go. What’s it worth to you to give up your worry for a peace that can’t be taken from you? Posted by daylerogers on June 4, 2015 in Uncategorized and tagged darkness, disaster, gentleness, God, Horatio Spafford, It Is Well With My Soul, Jesus, peace, rest, worrying. Waiting for that hammer to fall on me also, Dayle and it makes me also lose sight of HOPE in THE LORD! [also, Debbie would croak.] I have to go with Spafford on this one, as well til the worry fades and remember that JESUS IS with me and HE CAN’T be taken away! Blessings. Great read….wish I had not been in Haiti when you wrote it, but had those words of wisdom before! Love you and can’t wait to see you when we come to CO for our family reunion. What and when were you in Haiti? I probably should have caught it on Facebook–been a little lax there. And I’m THRILLED you’re doing your family reunion here. It’ll be great to see you!